On February 5, 2018, the President of the Republic of Azerbaijan, using his right enshrined in Section 1 of Article 101 of the Constitution of the Republic of Azerbaijan, called an early presidential election in the Republic of Azerbaijan. On February 6, 2018, the Central Election Commission of the Republic of Azerbaijan adopted a Resolution, pursuant to Article 179 of the Election Code of the Republic of Azerbaijan, setting the presidential election in the Republic of Azerbaijan for April 11, 2018. Preparations for the election were made in compliance with the legislation and with quality, all conditions were created to ensure free and independent conduct of 11 political parties and other participants of the election. All the registered candidates, who freely used the existing fair competitive environment and equal opportunities, expressed their satisfaction with the election and congratulated the candidate who won by a landslide. All the preparatory measures were taken according to the on schedule and effectively in order to ensure that citizens of the Republic of Azerbaijan fully and easily use their constitutional right to vote, all conditions were created for voters to freely and independently make their choice. 118 representatives of 51 foreign media outlets, and the vast majority of a nearly 60,000-strong army of observers, including 894 international monitors representing 59 countries and 61 international organizations, who were provided with all opportunities to freely and independently carry out their activity, described the Azerbaijani presidential election as free, fair and transparent, and hailed the voting as an outstanding improvement. This view was separately echoed in their interviews by many monitors of the observation mission of the OSCE Office for Democratic Institutions and Human Rights (ODIHR), OSCE Parliamentary Assembly and the Parliamentary Assembly of the Council of Europe. But it is with great regret that we note that the statement made on behalf of these organizations exaggerated the negative points, whose source was unknown and which could not affect the results of the election (in a maximum of 156 polling stations, which is less than 2.8 percent of the total number of polling stations), and alleged that technical problems were registered in 1,300 polling stations. Having taken a stand that differed sharply from the views of the aforementioned thousands observers and of their own representatives, the observation mission of the OSCE Office for Democratic Institutions and Human Rights, OSCE Parliamentary Assembly and the Parliamentary Assembly of the Council of Europe showed a tendency towards casting a shadow on the results of the voting held in all 5,641 polling stations. The statement bears clear evidence of violation of the principles of objectivity, balance and professionalism, and also includes numerous contradictions. Disregarding the facts that all the presidential candidates were satisfied with the election process, that there were no complaints or appeals about irregularities and that the election saw high turnout, the statement attempts to create an artificial falsification environment. And it is very difficult to understand whom these alleged irregularities disadvantaged. The aforementioned points fairly raise suspicions about certain politically-motivated pressure made by mission heads on observers in the course of preparation of the statement by the observation mission of the OSCE Office for Democratic Institutions and Human Rights, OSCE Parliamentary Assembly and the Parliamentary Assembly of the Council of Europe. Even today representatives of the mission met with separate individuals across the country, asking them to provide evidence of only negative cases relating to the election. In our opinion, such an approach casts a shadow over objectivity and impartiality of the mission, and provides a substantial foundation for the existing public opinion about biased anti-Azerbaijani activity and an openly negative attitude of some people in the management of mission, particularly deputy head of mission Stefan Krause, towards the Azerbaijani government, authorities and the incumbent President, who was one of the presidential candidates. The fact that Mr. Krause was assigned a responsible position within this mission, insisted by the OSCE Office for Democratic Institutions and Human Rights, was an indication that the report to be prepared with his involvement would have been biased. On many occasions, conclusions featured in the statement contradict each other. For example, the statement says that “the election administration was well-resourced and prepared the election efficiently.” Then it continues that “on election day, international observers reported widespread disregard for mandatory procedures.” Such contradictions in the statement at least raise questions. Another contradiction: the statement says that “authorities were co-operative and international observers were able to operate freely in the pre-election period”. But then it claims that “International Election Observation Mission and other observers were restricted in their observation (4 and 8 percent, respectively).” Another comment seems to be more absurd – “distinction was not made between the incumbent`s campaign and his official activities”. It would be reasonable to explain what the essence of this distinction is and how this distinction should be made. In no country in the world, a head of state running for another term quits his/her activities. He/she just cannot do this. The only ethical norm that may be applied to such pre-election situation is that a head of state who continues his activities should not call on his voters to vote for him. This rule has been strictly observed in all presidential elections conducted in Azerbaijan. The mission`s alleging that “on election day, international observers reported lack of transparency” is completely unacceptable. The Central Election Commission states that all polling stations were provided with transparent ballot boxes, and web cameras were installed in nearly 1000 polling stations to allow online observation of the voting. This is of crucial importance in ensuring transparency of the election. The statement says that “other candidates refrained from directly challenging or criticizing the incumbent”. The word ‘criticize’ in this phrase is a complete surprise. Firstly, no election can provide for personal criticism of a separate candidate. Criticism can be directed at a candidate`s election campaign only. Secondly, debates held by candidates on TV channels clearly showed that the government`s domestic and foreign policy was criticized by candidates. Moreover, one of the candidates even called the Azerbaijani authorities to renounce sovereignty of Azerbaijan state. Given these facts, the statement`s alleging that “this election lacked genuine competition” is surprising and unacceptable. The statement notes that a total of 58,175 domestic observers were registered, including 4,041 observers accredited by NGOs. It claims that obstacles introduced by the government and the election administration limit the possibility of civil-society organizations to operate. It is inappropriate to speak of limitations when more than 4,000 observers were registered by the NGOs, which are key civil society institutions. The Central Election Commission is surprised that when speaking of election observation only the Election Monitoring and Democracy Studies Center is mentioned. They said that the center remains unregistered and its activities are limited. But there are other organizations specializing in election observation in Azerbaijan and they locally monitored the presidential election. For example, one of them is the Association for Civil Society Development in Azerbaijan (AVCIYA). At the same time, National NGO Forum, which is Azerbaijan`s largest NGO platform and which groups more than 600 civil society institutions, conducted monitoring in 590 polling stations before and on election day. The statement alleges that “there are no specific legal measures to promote the participation of women in political life.” However, there has been a significant progress in this area in the past few years. Women are broadly represented in election commissions. In addition, in 1 out of 87 regional and city executive authorities the post of head of executive authority is held by a woman, while in 75 (86.2 percent) of them the post of deputy head is held by a woman. In the 2014 municipal election, the number of women among municipality members increased from 8.9 percent to 35 percent, and rose from 12.4 percent to 30 percent among municipally chairs. The statement also alleges “the absence of pluralism, including in the media”. The Central Election Commission considers this allegation completely unfounded because in the civilized world the media are not required to criticize or even defame government institutions. The media should remain unbiased in covering the facts. 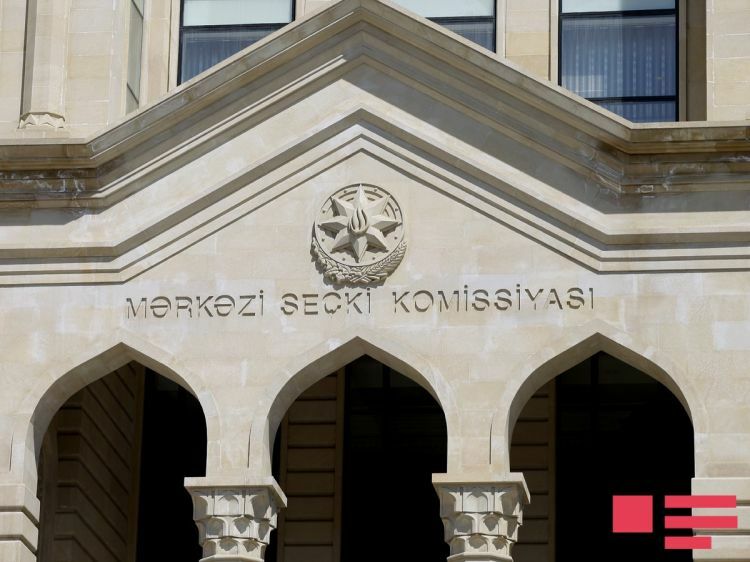 The Central Election Commission states that there are currently nearly 500 daily, weekly and monthly print outlets, and nearly 5,000 internet news resources in Azerbaijan, with many of them sharply criticizing the government`s domestic and foreign policy, head of state and opposition representatives. Eighty percent of the country`s population are internet users, nearly 3 million people are social network users. According to observations of the Central Election Commission, a lot of critical and sometimes even unethical material was put out by the media and especially by social networks both before and on election day. The statement says that “the 11 television stations with nationwide coverage remain the main source of political information in the country. The ownership structures of these broadcasters are opaque.” By making this statement, the mission exceeded its mandate. Each of the 11 channels were registered by the relevant authorities as legal entities, they are taxpayers and all information is available in open resources of those authorities. The statement alleges that “the fact that defamation is a criminal offense punishable by imprisonment, with additional penalties for defamation of the president, further limits the freedom of expression that is key to political campaigning.” In 42 member states of the Council of Europe, defamation is a criminal offense and in 39 of them it is punishable by imprisonment. But, the statements on the elections in the majority of the OSCE member states did not assess defamation as what limits the freedom of expression that is key to political campaigning. 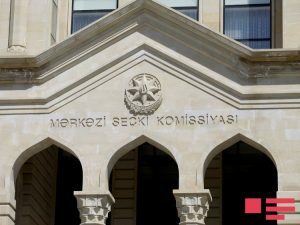 Therefore, this assessment with respect to Azerbaijan witnesses to a selective and double-standard approach. It should also be underlined that for many years the courts in Azerbaijan have not applied imprisonment for defamation. Unfortunately, the observation mission expressed its view without having any intention to study this issue. What surprises the Central Election Commission the most is that 360 observers (including 270 observers from OSCE ODIHR) of the OSCE Office for Democratic Institutions and Human Rights, OSCE Parliamentary Assembly and the Parliamentary Assembly of the Council of Europe, which constituted 40 percent of the total number of foreign monitors, by tradition, assumed the function of undisputed and supreme judging authority. The mission`s statement uses the term ‘international observers’ instead of ‘observers of the OSCE Office for Democratic Institutions and Human Rights, OSCE Parliamentary Assembly and the Parliamentary Assembly of the Council of Europe’, which, at least, is disrespect for foreign observers representing 59 countries and numerous international organizations, and a sign of arrogance. The Central Election Commission does not pursue a goal of thoroughly studying this unfounded report, which is full of contradictions, and hopes that the aforementioned and many other contradictions featured in the statement of the OSCE Office for Democratic Institutions and Human Rights, OSCE Parliamentary Assembly and the Parliamentary Assembly of the Council of Europe on the early presidential election, which was held in the Republic of Azerbaijan on April 11, 2018, will be removed. Otherwise, the Central Election Commission will regretfully be forced to halt cooperation with the OSCE Office for Democratic Institutions and Human Rights, whose representatives constitute the majority in the aforementioned observation mission.